Solid Silver vs Silver-Plated – A solid silver headjoint will without a doubt have one of the biggest impacts on sound – solid silver gives a far superior, flexible sound and enables a wider range of tone colours and dynamics. Other options such as Gold lip plates are also worth experimenting with in an effort to find the right fit for your flute player. 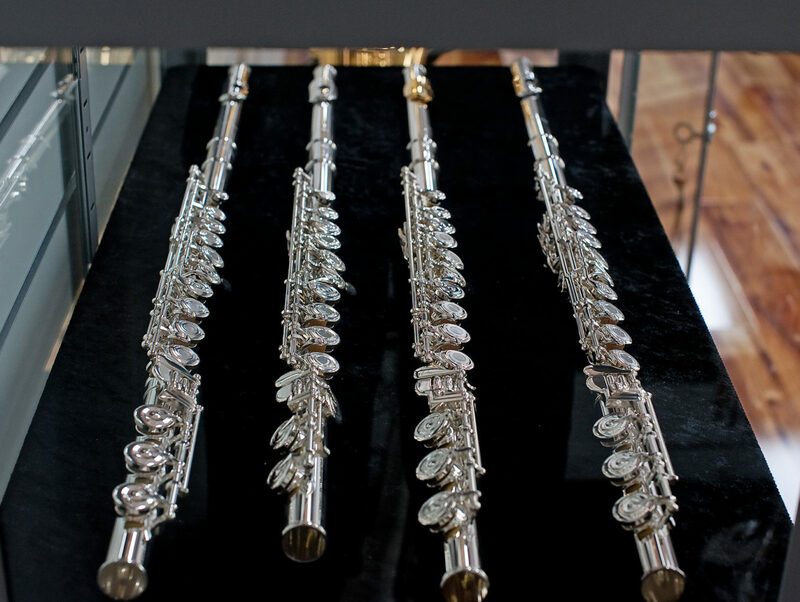 Open Hole vs Closed Hole – Not suitable for beginners, open hole flutes feature ring shaped keys which require the centre of the keys to be covered by the players fingers. This helps to increase the venting of the tone holes, giving a more open sound coming directly out of the flute. B Foot Joint vs Standard C Foot – The B Footjoint extends the range of the flute down making the lowest note available B, as against standard student flutes where the lowest note available is a C.
Other features such as Split E mechanisms and pointed key arms, which are common on student model flutes should also be present on any intermediate flute. Some of our favourites – Check out the links to some of our favourite upgrade models featured in our online shop – Yamaha Flute YFL372HGL, Yamaha Flute YFL472, Pearl Flute 665RBE.